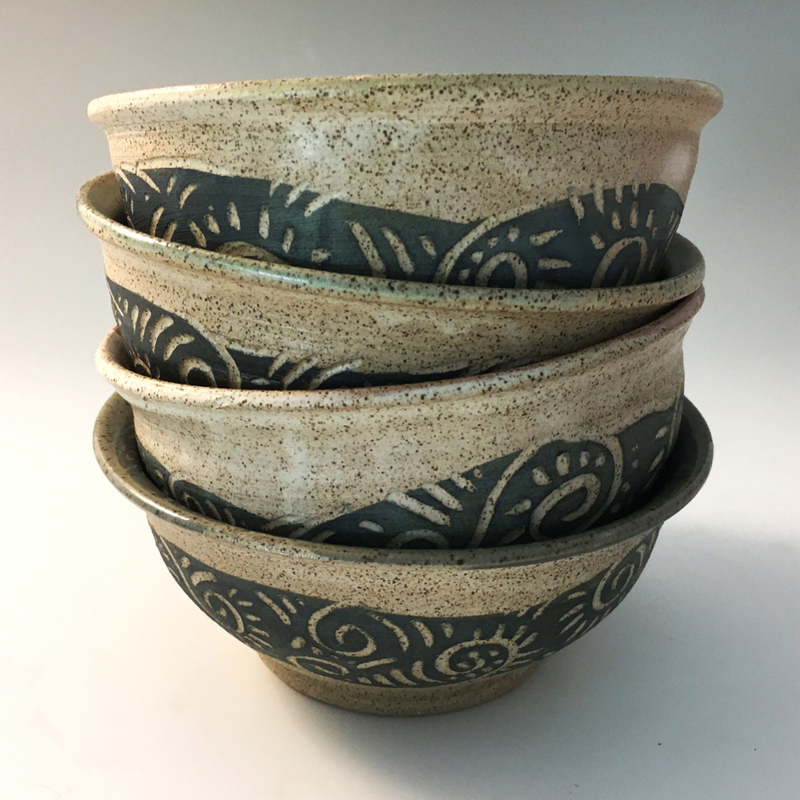 Zwellyn Pottery makes handmade pottery for everyday use. Making everything from pottery coffee mugs, bowls, plates, platters, spoon rests and everything in between. 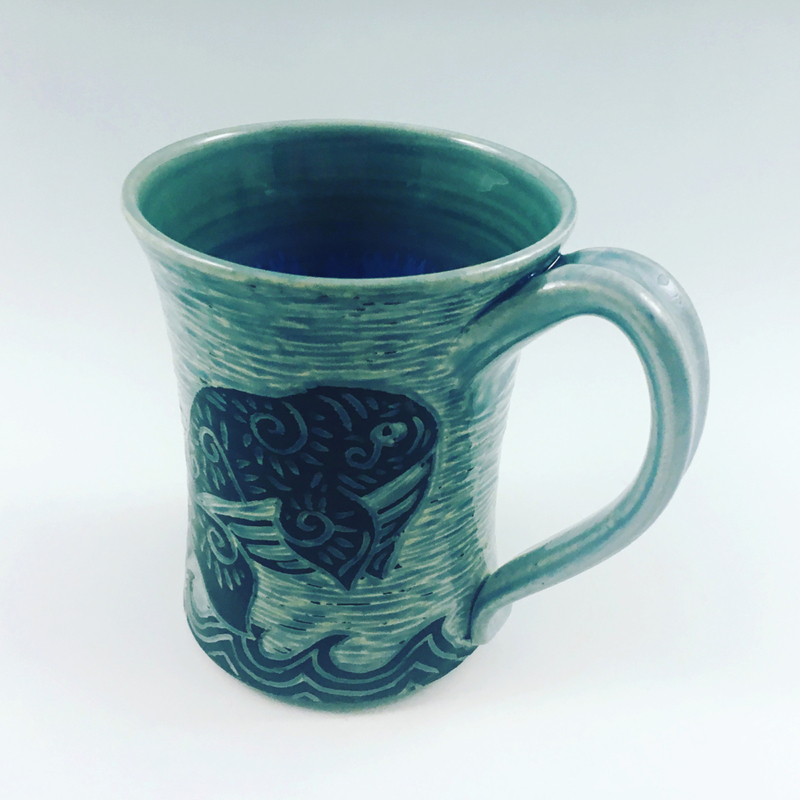 All of my pottery is hand thrown on the pottery wheel and most of it is also carved, with love, using a technique called sgraffito. 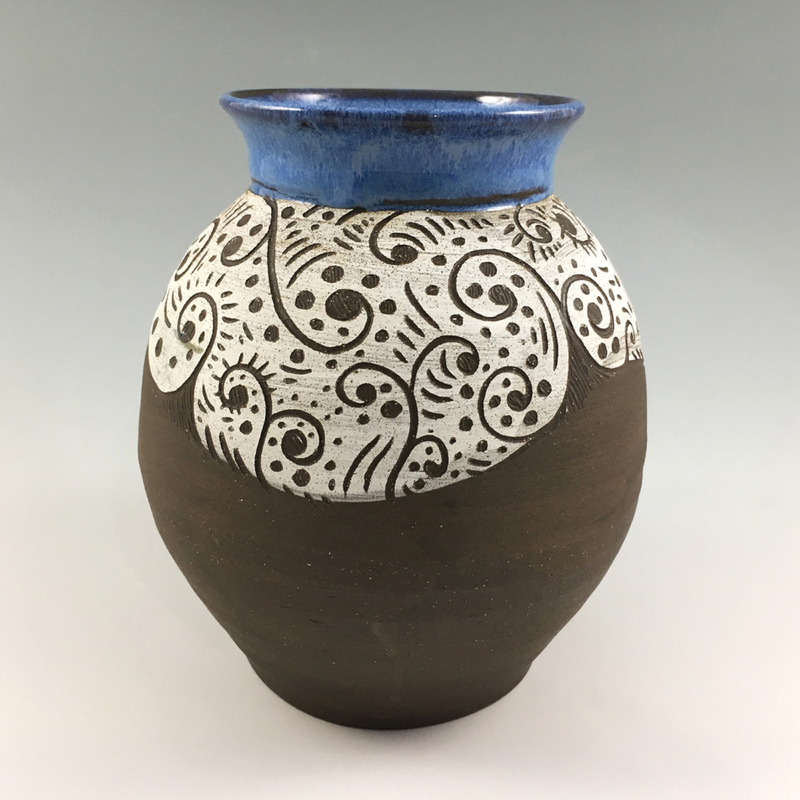 That is when a slip or underglaze is applied and a design is carved through the pot. 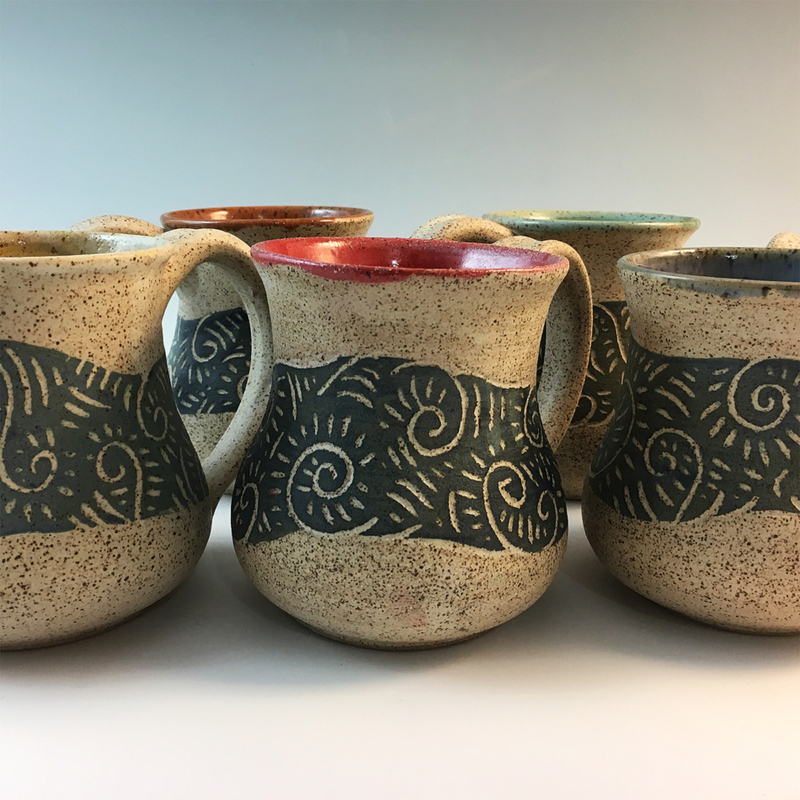 Zwellyn Pottery is made of stoneware fired in an electric kiln to cone 6 which helps produce bright colors.